AquaVie Spa also offers personalized group spa experiences, from bachelorette and bridal parties to baby showers to corporate retreat and team building events. Whether you are looking for ultra-luxe pampering, the ultimate in fitness training or a poolside escape, world-class AquaVie is your ultimate spa and wellness getaway. Plus, you don’t have to leave home to enjoy this vacation. A tranquil refuge from city life, the AquaVie Spa is a modern, luxurious oasis offering the finest organic skin care, massage and body treatments, as well as waxing and nail services. The spa’s luxurious treatments will leave you rejuvenated and vibrant, and highly trained experts administer services in spacious treatment rooms. 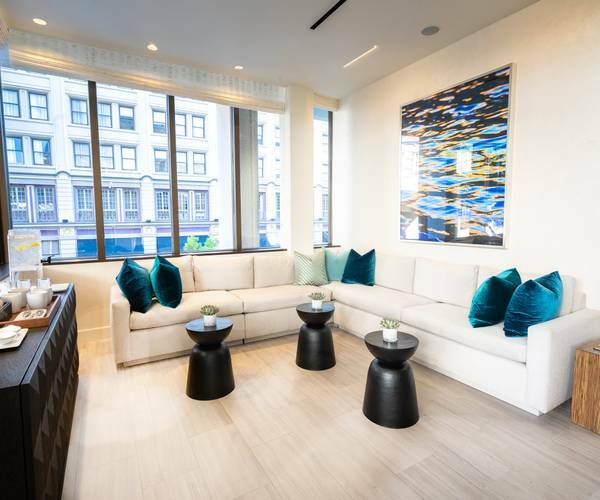 And be sure to take advantage of AquaVie’s weekday Spa Happy Hour–yes, there is champagne–and creative events like Yoga and Mimosas and Bikes and Brunch. AquaVie Spa also specializes in creating customized events for all types of groups and organizations. (Think baby and bridal showers, girlfriend spa days, meetings and retreats.) Catering services are available, and there are endless possibilities for relaxing with memorable luxury spa experiences. 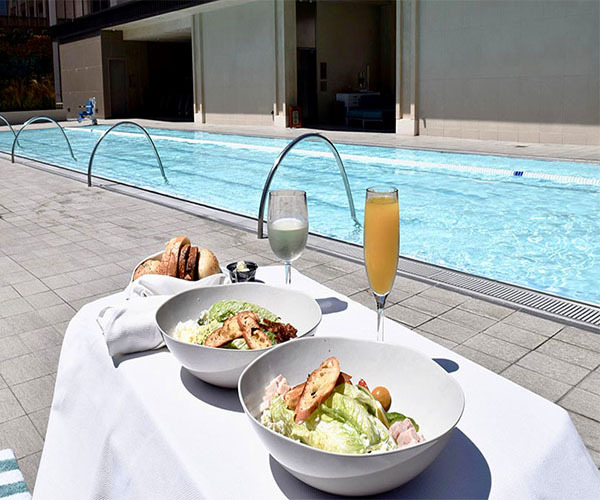 With a stunning rooftop pool and hot tub overlooking downtown San Diego, a sumptuous spa, endless classes–from barre to yoga to rooftop spin– and glamorous poolside dining, AquaVie offers everything you need for a vacation filled with the “me time” you deserve. AquaVie’s luxurious locker rooms are their own getaway, boasting steam rooms and large saunas. In addition, the entire third level is devoted to physical fitness and strength training with state-of-the-art Technogym and Precor equipment. There are also daily core, yoga and wellness classes. The rooftop running track circles the lap pool and offers scenic views and an extraordinary escape from the everyday. And AquaVie’s instructors and personal trainers are considered to be among the best in the business/ And did we mention that according to San Diego Magazine, AquaVie Spa has the most spacious and well-appointed treatment rooms in the city? Guests are invited to enjoy all day dining poolside on the fourth floor of this distinctive spa, fitness and wellness club. The menu includes breakfast, lunch and dinner, as well as tempting bites and snacks. You can also enjoy a range of locally crafted, national and international beers, fine wines and classic poolside cocktails, along with non-alcoholic beverages, coffees and offerings from the juice bar.